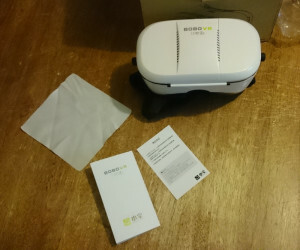 Since I found out about Google Cardboard, I’d always wanted to try it out, however could never bring myself to spend over $20 AUD for what was essentially some cardboard bits and pieces and lenses, or spend over $40 to get a pair of VR Goggles that may or may not accommodate my glasses. However, the people over at GearBest have got me covered again! 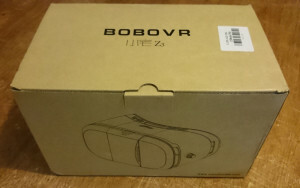 They’ve kindly sent me a pair of BOBOVR Z3 Goggles to try out, and safe to say I’m impressed. The package arrived in a cardboard box with the logo and goggles inscribed on the outside. When I opened the package, I found the goggles, the English and Chinese Instruction booklet, a cleaning cloth, and a warranty Certificate (I assume. It’s in Chinese and my Chinese is very very rusty…). Everything that came with my new toy. The Goggles are big enough to fit up to a 6″ Phone, which means that my Sony Xperia Z2 fits snugly inside it. Adjusting the goggles is very easy as the straps are secured with Velcro, however the stitching may not hold up if the goggles are repeatedly adjusted. Lens adjustment is also extremely easy with the knobs on either side to adjust focal distance, and a roller on top to adjust the distance between your eyes. Putting the goggles on was easy for me. I must have an average sized head as the goggles needed little adjustment to fit comfortably. The padding that seals your face against the goggles is comfortably soft, however it feels like the sort of padding that may start flaking after a few years of wear. The goggles aren’t extremely heavy, but you can definitely feel the weight on your face when you put them on. The goggles weigh about 300 grams empty, so adding a phone into that could bring the weight up to ~600 grams. Wearing these for a long time while sitting up might give you a sore neck, but if you’re sitting in a comfortable chair and leaning back, you probably wouldn’t notice the extra weight. The goggles also compensate for my short-sighted eyes as I don’t need my glasses at all when wearing these goggles! While this is useful for myself, users with other eye disorders that require glasses may not be able to use these goggles as glasses are not compatible. 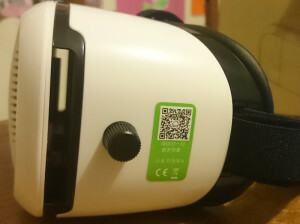 Opening the goggles to fit the phone in requires a little bit of force as the magnet that holds the lid shut is quite strong, which is probably a good thing if you’re flinging your head around when you play VR games. There are big slots on either end of the goggles, and some vents on the front. The slots are for headphone cabling and probably also to accommodate phones with speakers. Cooling on these goggles isn’t the best, however you will find that all goggles that seal a phone within a compartment will likely have the same issue. My Xperia Z2 was a little toasty after riding a virtual roller coaster for about 10 minutes. The headset also doesn’t include the magnetic button to interact with the phone while it’s sitting in the goggles, necessitating an external input device of some sort. Unfortunately the bluetooth joystick/remote is sold separately to the goggles. For slightly under $27 AUD at the time of writing, these goggles are a bargain in my opinion. They’re comfortable to wear, and as a bonus for myself – I don’t need glasses to use these, unlike the Oculus rift (though the Rift I tried out was the developer kit). 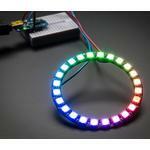 The goggles feel solidly built, and don’t rattle too much when you fling your head around. If you’re a fan of Google Cardboard or VR, do yourself a favour and pick up a set of these goggles! 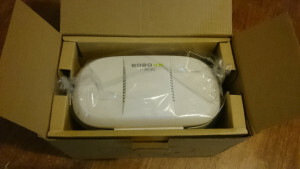 I recently got my hands on a Linksys SRW2048 switch to use as the core of my home network. The main reason why I wanted this was for VLANs so I could start experimenting with them in my homelab, but as a bonus, the switch supports SNMP which means that I can use my Zabbix instance to monitor the stats on the switch.